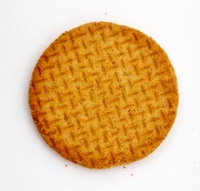 14 Mar 2017 --- Ten percent of biscuits for infants and young children on sale in the UK have high levels of known carcinogenic acrylamide, according to a by the Changing Markets Foundation. The Foundation partners with NGOs on market focused campaigns, with a mission to expose irresponsible corporate practices and drive change towards a more sustainable economy. It’s recent survey examined 48 types of biscuits on sale in Britain - including well-known brands like Little Dish and Ella’s Kitchen. A sample of Little Dish biscuits for one-year-olds were found to have the highest levels of the chemical compound acrylamide. They were founds to have a concentration of 924.4 µg/kg, which is nearly five times above the European benchmark and 30 times higher than products with the lowest concentration. A total of four samples of similar products from the Little Dish brand exceeded the recommended EU benchmark of 200µg/kg, while one sample from Ella’s Kitchen came close to it. Changing Markets and SumOfUs’ survey of baby biscuits in France found only one product - Nestlé brand – that had levels higher than the benchmark. According to the European Food Safety Authority (EFSA), exposing babies and young children to the chemical compound is particularly concerning, while a recent study from the UK Food Standard Agency found people in Britain currently consume higher levels of acrylamide than is desirable and the risk of cancer from exposure is three times higher in infants compared with adults. Recently in Croatia, Hungary, Slovakia, Slovenia and Bulgaria, similar products were recalled from the market for having levels of acrylamide at 1020 µg/kg. Six months ago the FSA published its own monitoring results which showed 29 products exceeding the recommended acrylamide benchmarks, with three of those being types of baby food. The FSA also recently launched the Go for Gold campaign focused on recommendation on how to reduce acrylamide levels through home cooking and this led to “don’t burn your toast” stories appearing in the UK media. The FSA warned that eating overcooked potatoes or burnt toast could increase links to cancer. Acrylamide can form from sugars, water and amino acids when they are heated to high temperatures during the Maillard reaction - higher temperatures and longer heating times can lead to higher acrylamide levels. “While it is important not to burn your toast, the FSA seems to be shying away from taking a tougher stance on the food industry, where significant reductions of acrylamide are possible. We mustn’t forget that acrylamide exposure from home-cooked food is considered relatively small when compared with industrially or restaurant-prepared foods,” says Nabil Berbour, senior campaigner at SumOfUs, a global consumer watchdog whose petition asking the EU Commission to set legally binding maximum levels of acrylamide in food has gathered more than 229,000 signatures. The presence of acrylamide can be significantly minimized by food business operators through the application of different measures, as confirmed by those samples with undetectable levels of acrylamide, according to the survey. But many are still unaware of acrylamide or unwilling to take reduction measures because there are no mandatory legal limits, says Changing Markets Foundation. The European Commission is discussing the issue with member states, however the proposal has come under fire by food safety and consumer protection groups because it fails to introduce a maximum legal limit for acrylamide. It has been branded a “weak” proposal which does nothing more than prolong the status quo. A vote of a draft proposal is expected in June. During the survey, plenty of samples showed levels of acrylamide way under 200 μg/kg and even below the lower benchmark of 150 μg/kg. Some products, from the likes of Boots, Cow & Gate, Farleys, Heinz and Tesco, showed a range of anywhere between 30-60 μg/kg, demonstrating that levels of acrylamide can be significantly reduced. Meanwhile in another survey, 15% of Brussels’ friteries were surveyed selling potato fries with high levels of known carcinogen. A snapshot survey of potato fries sold in twenty Brussels friteries has discovered three samples with levels of acrylamide above the EU benchmark of 600 µg/kg., in another joint investigation between Changing Markets and local news brand BRUZZ. The highest acrylamide level found in the survey was 670 µg/kg, over six times higher than the lowest at 100 µg/kg, followed by two samples at 660 and 620 µg/kg. Two samples were at 500 µg/kg – a new benchmark level being proposed by the European Commission. A sample taken at fast food giant McDonalds was above the average levels found in smaller friteries, at 450 µg/kg. Under the current protocol, member states have been obliged to monitor levels of acrylamide in food products since 2007 and act when products are found at levels higher than the European benchmark. For potato fries, this has been set at 600 µg/kg, which is at the high end of concentrations observed over the years. Several simple measures that friteries can implement to ensure lower acrylamide levels have been identified by the European Potato Processors’ Association which include advice regarding which potato varieties should be favored, how potatoes should be stored, how they should be cut and soaked before frying, how frequently the oil should be changed, and recommendations on length and temperature they should be fried for.